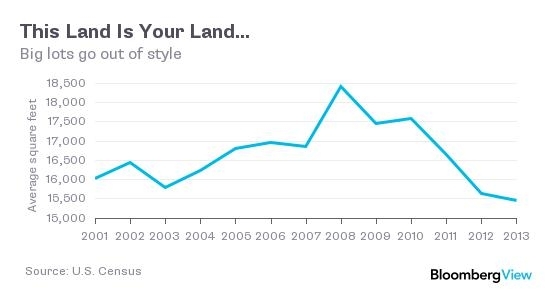 Read my latest Bloomberg View column House Rich, Land Poor. I took a look at the last decade of Manhattan sales activity and broke out a bunch of neighborhoods and property types to compare their changes in average square footage from 2004 to 2013. I looked at the annual sales activity for both years and presented the percent change in the table below. Rising costs over the decade have prompted small apartment sales at higher prices. 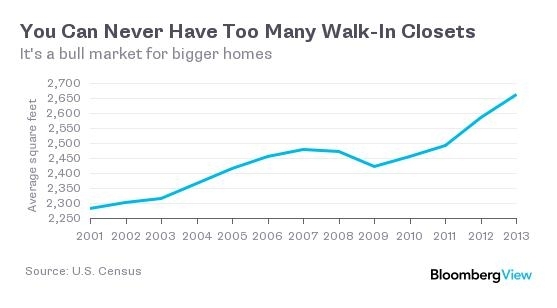 New development activity that dominated the market in the middle of the last decade influenced sizes to shrink. This is distinctly different than the discussion about the shift in the mix towards larger apartments – ie more bedrooms.